What Are The Different Types of Cooling Systems You Can Choose From? Home / Blog / What Are The Different Types of Cooling Systems You Can Choose From? 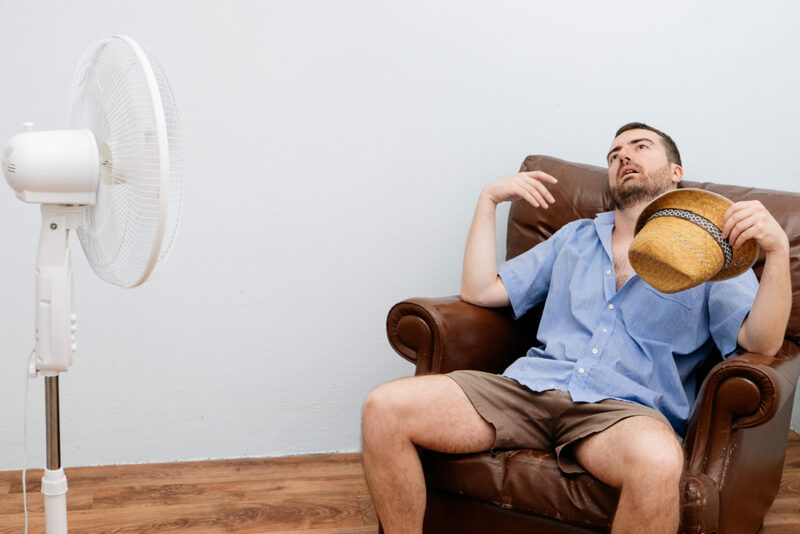 After spending an hour or two outdoors in the sweltering, relentless heat, there’s nothing quite like walking into an air-conditioned building and feeling the crisp, pristine air just chill you right down to your very being. It’s a spiritual experience, like being kissed on the forehead by a mountain breeze, or like being hugged by the ocean. We do air conditioning installation Perris CA, and we would love to turn your home into a welcoming haven, a cool oasis this summer. With summer in full swing, there’s never been a better time to submit to the siren song of air conditioning. But what type do you choose? In this article, we’ll introduce you to some of the most popular kinds of air conditioning systems. These guys look almost like R2D2, the gibberish-spouting robot from the Star Wars franchise. Portable air conditioners are just that, units that can be easily moved between rooms and require very little by way of installation. They are generally quite affordable, but there are some downsides such as increased noise levels. Broadly speaking, the majority of AC systems work on the same basic principal: warm air is converted into cool air through various chemical and mechanical processes. But the heat still needs to go somewhere, which is why some portable AC units include a window kit for easy release of warm air. Window air conditioners, as the name suggests, are fitted to windows using mounting hardware and expel warm air outdoors through an exhaust pipe or chimney-like structure. They typically provide better efficiency than their portable cousins and tend to be less noisy. While window air conditioners are somewhat more expensive than portable systems, and they require some installation, they offer good value for money. You’ll need some help installing one of these. We have loads of industry experience and only fit the best brands when we do air conditioning installation Perris CA. Through-wall AC systems are built into a prepared cavity in the wall, which has been fitted with a special metal sleeve. These units can be on the expensive side, especially since there is considerable labor and preparation involved. However, when installed flush with the wall, they look exceptionally elegant and can lend an air (no pun intended) of sophistication to the room. These cleverly-designed systems are becoming increasingly popular thanks to superior efficiency and low levels of noise. Consisting of two main parts, ductless split systems are ideal for providing cooling in more than one room within a building. Ultimately, there are many factors to take into consideration when choosing an air conditioning system, These include the size and number of rooms that require cooling, available space, and proximity to nearby structures such as pillars, local regulations, budget and, of course, personal taste. Whatever your unique requirements with regards to air conditioning, we can offer you expert advice and exceptional, professional service with air conditioning installation Perris CA. Give us a call on 951-926-1002. You can also schedule a service online or even request an estimate and one of our friendly consultants will contact you as soon as possible. For other ways to get in touch, visit our Contact Us page.